The Thane Wondercore is a revolutionary 6 in 1 fitness product, designed to target your core muscles. The equipment is has a unique patented design, where you’ll find adjustable resistance on each side, allowing you to work in both directions on each and every rep. This mid to low price abs trainer allows you to performance exercises such sit ups, pushups, scissor kicks, bridge and work your forearms, biceps and triceps. You will find creatively hidden interlocking springs alongside precision dials which allow for the adjustable resistance, the amount of resistance on each side being between 10kg and 21kg. This trainer is designed for all users, no matter your age or size and you can choose the workout you want to do using the machine. The Thane Wondercore machine comes fully assembled (not too many abs trainers require no assembly!) and you’ll find a workout DVD included with equipment, as well as an exercise and nutrition guide and an anti-slip mat which will help stop your floor becoming scuffed or scratched. The machine is compact and easy to store, simply fold it up after use. This item is in the mid to low cost bracket, made even more reasonable by the small but welcome discount offered by Amazon. With an average rating of 4.5 out of 5 stars, it’s clear that the vast majority of users have been completely satisfied with the product. The machine is said to be very sturdy and works well on a number of muscle groups, one user stating they won’t be going to the gym any more after purchasing. The words ‘brilliant’, ‘great’ and ‘works wonders’ were repeatedly seen in the reviews. One or two users have stated that it can cause back pain, so you should ensure your positioning is right when practicing the exercises. 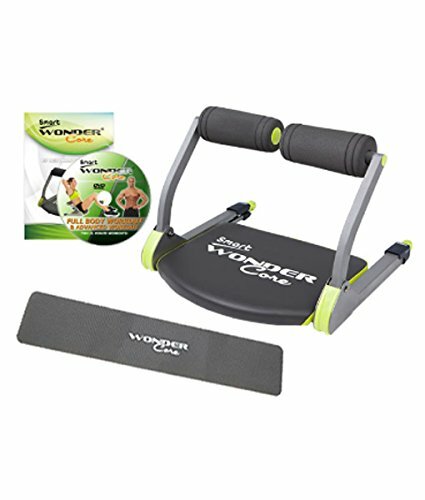 The Thane Wondercore is a handy and versatile piece of home fitness equipment, designed to work a large number of muscle groups with a focus on your abs and core muscles. Small but sturdy, this machine is ideal for use in the home as it’s great for storage and takes up little room when in action.